Marketing agencies, businesses and brands can always anticipate when their biggest marketing initiatives are going to happen every year. After all, major holiday dates are known well in advance and seasonal promotions are fairly predictable. It’s the times in between the big “events” that can be challenging. If you can effectively market your businesses during these periods, you’ll be able to stand out from the crowd and provide greater value for the people and companies that rely on you. Then January came around, and I barely felt like I had a job anymore. I’d walk around looking for ways to optimize our displays. Maybe if we put the brand name sneakers at eye level, and the knock-offs at the bottom, we might sell more shoes to the one or two customers who wandered in. Maybe if I stacked the t-shirts by color, the display would be more eye-catching. But the reality was, when someone did come in, they were most likely looking to use the restroom. My attempts at optimization didn’t really catch anyone’s eyes. What can you — the business owner, manager or agency rep — do to add value to your company during the slow times? My experience might be extreme, but it’s not entirely unique. Most businesses experience busy and slow seasons. We all know what to do when things are busy. That’s easy. But what can you — the business owner, manager or agency rep — do to add value to your company during the slow times? If you’re an agency, what services can you provide your clients so they keep sending you business when things slow down? I’ve got four big ideas for you, all based on practices I’ve seen work well for the ShortStack users I work with every day. Consumers may get their spending fix in during the busy periods, but they are still perusing social media and checking their email during your slowdowns. If you keep them engaged during these periods, you’ll be fresh on their mind when business picks up again, and you’ll most likely increase business in between. Post at optimal times (I’d recommend using Buffer for this). Post eye-catching photos (no brainer). Much of what’s listed in that post can be accomplished simply by being active on social media, but there are interactive tools that can help improve your results beyond running contests. You can throw up quick polls and quizzes to ask questions and crowdsource feedback. You can run photo contests, or even use hashtag contests to supercharge your photo posting. Finally, you can link your CTAs and ads to landing pages to increase your conversion rate (we’ll go into more depth on this later). A large number of ShortStack users experience the same “phenomenon” that I did in my early retail experience. Business slows down after the holiday season. This, of course, affects us as well, but we’ve seen some users embrace the slow time and make it work to their advantage. A couple years back, one of our users, Star Fine Foods, decided to run a large scale promotion after the holidays in an attempt to lessen their post-holiday woes, to great success. You can read more about their campaign here , but I’ll give you a quick summary. During the months of January and February, Star Fine Foods ran a multi-faceted giveaway that included several valuable prizes. Participants had the options to submit recipes, take a quiz, and submit photos. The more they participated, the grander the prize they would become eligible for. 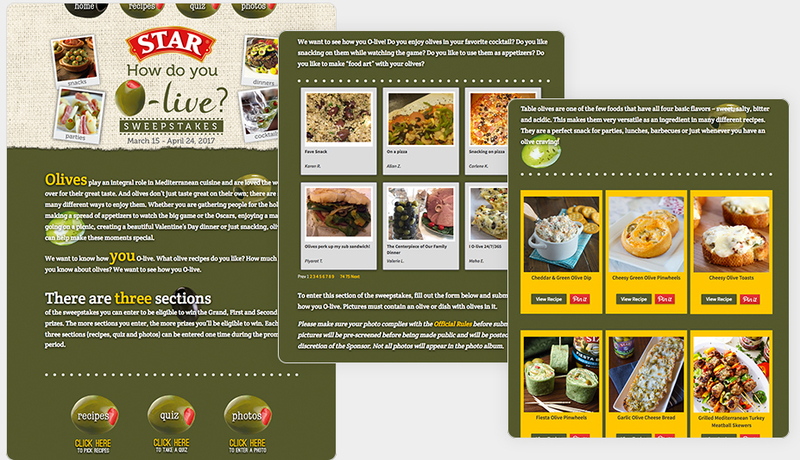 One of Star Fine Foods’ primary goals was to increase traffic to their website, so they embedded the campaign on their site, and started promoting. In the end, they were able to increase web traffic by 288 percent over the same period from the previous year. I can’t think of any business that wouldn’t be ecstatic to see a nearly 300 percent increase in traffic during their slowest period! It’s actually pretty easy to see more widely recognizable examples of this. While there are shopping holidays that exist for obvious reasons, such as Black Friday (which originated from employees playing hooky the day after Thanksgiving) there are others that exist purely because of clever marketing. There is little reasoning for the existence of Cyber Monday, other than it being an extension of Black Friday. Nevertheless, many of us are scouring the web for deals that Monday, and every year retailers run with it. More impressively, Alibaba has turned China’s Single’s Day, a sort of anti-Valentine’s Day, into the largest shopping day of the year. It all started in 2009 when they tried to increase business in between their two busy seasons, Golden Week in October, and Christmas in December. So they ran “Double 11” deals on Single’s Day, which is on November 11, or 11/11, thus the double 11. Pretty clever. Six years later, Single’s Day generated more sales than Black Friday and Cyber Monday combined. All because one company, albeit a large one, decided to run a creative promotion during what was previously a slow period. So, while everyone wants to take advantage of their busy seasons, don’t think that there is nothing you can do to pick up business during the down times. Be bold and blaze your own trail. Ads are an expensive, but necessary, resource for most businesses and can be utilized throughout the year. The end goal of nearly all ads is to guide someone from “impression” to “purchase,” but we all know that won’t happen every time. That doesn’t mean you have to settle for impressions. You want to get your potential business as close to realized business as you can, so if that impression doesn’t turn into a purchase today, you can at least increase the odds that it will turn into one tomorrow. A purchase is more valuable than an email address. An email address is more valuable than a social media follow. A social media follow is more valuable than a click. A click is more valuable than an impression. So how do you move potential customers up that conversion ladder using ads? Landing pages are a proven tool for increasing ad conversions, so if you’re using ads to send people to a homepage, you will want to take the power of landing pages into consideration. Think of it this way, homepages are there to act as a sort of directory for your customers. They come to your site so they can navigate to their destination. What is the purpose of an ad though? An ad’s purpose is to promote a single thing. If an ad takes you to a place where you need to navigate for the object of the ad, or to a place that has distractions that are not immediately relevant to that object, the potential for drop-off increases. You want your ads to take people to a place that has a singular focus. There is data to support this. For example, conversion test site behave.org found that ad specific landing pages converted at a 115 percent higher rate than their generic counterparts. To get the best results, run a dedicated landing page for every ad you are running. 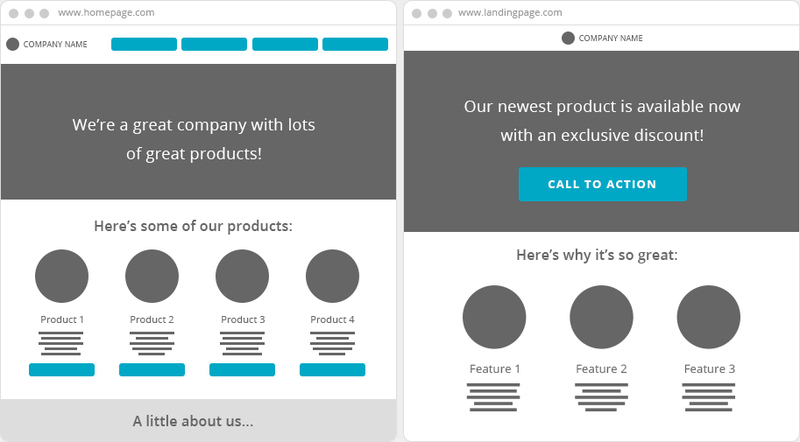 If you are A/B testing your ads, make sure to have a landing page for each version. Ad specific landing pages will not only help you convert on your ads, but they will help you understand what ads are working most effectively. 4. Run campaigns that you can set and forget (mostly). While most promotions run for a finite amount of time, there are some kind of promotions (or what we call “campaigns”) that should be done all of the time. You should always have forms spread out across the web making it easy for people to contact you, sign up for your newsletters, and leave testimonials. You can also create landing pages for specific products and services and leave them up indefinitely, which piggybacks onto my suggestions in the previous section. If you’re looking for a way to increase the effectiveness of your social media efforts, consider using user-generated content (UGC) to help with your marketing efforts. Use branded hashtags to interact with your customers. When your customers and followers post something that you’d like to use for your own marketing efforts, ask for their permission to use it . 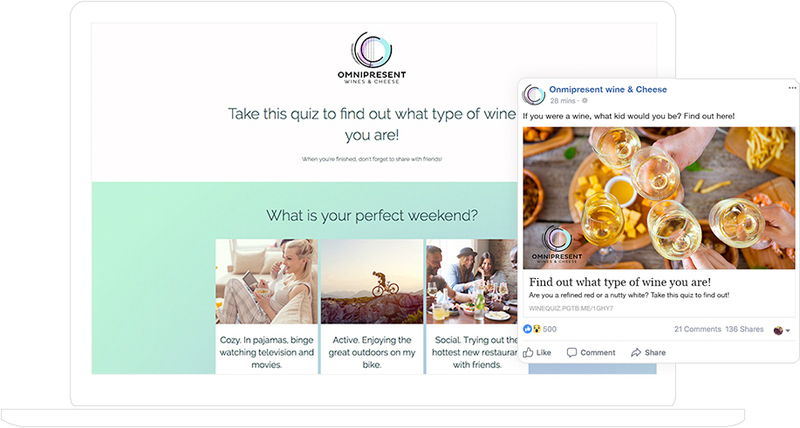 You can use the pictures, videos, and testimonials people post on social media alongside the products and services you have on your site to show your brand off in the real world. In a recent survey of consumers, 90 percent of respondents said that UGC had at least some influence on their purchasing decision, with over half of them saying UGC was “very to extremely influential,” proving significantly more influential than any other source of advertising. So there you have it: Four ways you can make your business top of mind year ‘round instead of just during certain times of the year. And you won’t have to stack shoes or sort t-shirts and cross your fingers that your efforts have caught your customers’ attention.